Every August, we bring you some of the best and brightest early-career researchers and engineers (sometimes in middle school or high school) – and this year is no different. Our editors have searched far and wide to find students of various ages who are advancing photonic science and technologies and working to impact the world in a range of areas: biomedicine, energy, education and robotics, to name a few. This is a talented group, and their combined brain power will take us all to places we (and even they) haven’t imagined yet. ROBO POWER: Alan Cheng, Southridge High School in Beaverton, Ore.
Cheng is a 16-year-old high school junior, an IB Diploma candidate and a science fair enthusiast who serves as president of his school’s robotics and programming club. He also happens to have conducted research at Portland State University since 2010, focusing on digital logic design, quantum computing and robotics. He has even presented two papers at international conferences. Google Science Fair (GSF) recently named him a finalist in the 15-16 age group for the smart portable interactive whiteboard technology he has developed. His human-machine interface (HMI) device was designed for education, collaboration in research and business environments, and entertainment applications; his tools were a 3-D vision camera, support vector machine classification and Kalman filter optimization. He used open-source computer-vision libraries for processing. 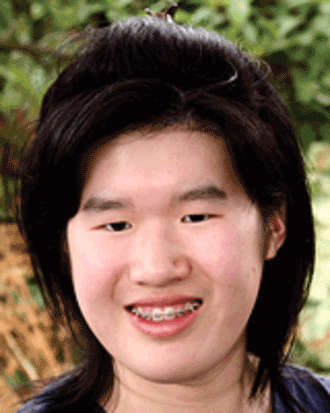 PROTEIN POWER: Emily Wang, Henry M. Gunn High School in Palo Alto, Calif. This Harvard-bound graduating senior won the 2014 International BioGENEius Challenge, a competition organized by the Biotechnology Institute to recognize outstanding high school research in biotechnology. 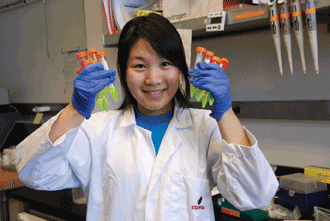 The judging panel awarded Wang the top prize, $7500 in cash, for her research on biosensing. In Wang’s project, “Illuminating Disease Pathways: Developing Bright Fluorescent Proteins to Improve FRET Biosensing,” she sought to help visualize cancer metastases and other disease pathways at the molecular level. She developed the bright-green fluorescent protein Clover3 and the bright-red fluorescent protein mRuby3. These proteins can be used to image neurons to detect and track cancer growth, investigate Alzheimer’s disease and observe other biological activities. “I wanted to improve current fluorescent proteins and develop a new one that could serve as a valuable tool for scientists to understand disease pathways,” she added. So she interned for Dr. Michael Lin, a professor in Stanford University’s Department of Bioengineering, and started her current project; she also worked with the department’s Dr. Jun Chu. Wang is still working on fluorescent proteins. “Through creating new fluorescent protein-based tools, I believe we can advance our knowledge of the mechanisms behind illnesses and thereby design more efficient therapies and medicine to improve human health,” she said. “In the future, as fluorescent protein technology continues to develop, new signaling pathways associated to cancer proliferation can be identified. The discovery of novel targeting molecules through usage of fluorescent proteins would allow researchers to invent techniques for early cancer prognosis. Outside of the lab, she sings and acts, and has founded a Research Science & Invention Club at her school. “I strongly believe that anybody can become a scientist or inventor,” she said. SOLAR POWER: Valerie Ding, Catlin Gabel School in Portland, Ore. This 17-year-old high school senior has been busy: She holds honors from SPIE, Google Science Fair (GSF), Intel’s International Science & Engineering Fair (ISEF), the American Physical Society and countless other organizations for her work on math and science. She’s been featured on “The Daily Show.” She even has a patent pending on her quantum dot (QD) solar-cell-generation method. Oh, and did we mention she’s an award-winning pianist, too? This year, Ding is a Google Science Fair finalist in the 17-18 age group; she also was nominated for the event’s Computer Science Award for her project titled “Novel Automated Next-Generation Multijunction Quantum Dot Solar Cell Designs Using Monte Carlo Modeling.” As of press time, the winners had not been revealed. “I’m delighted to bring to the 2014 GSF a legitimate ‘moonshot,’ a fully automated way to rapidly design real-world multijunction quantum dot solar cells that could vastly improve efficiency at a low cost. Solar power is destined to replace fossil fuels. We have an incredible, once-in-a-civilization opportunity to create a sustainable future for our planet Earth,” Ding wrote in her project. In that project, she developed a new, rapid way to design and optimize the most efficient MJQDSCs, enabling efficiency improvements and reducing costs for solar technologies. Her method is based on Monte Carlo simulation and quantum mechanical calculations, using a custom JAVA program to investigate interactions between photons and MJQDSCs. She then used the technique to assess lead sulfide MJQDSC designs. Ding first encountered the concept of QD solar cells at École Polytechnique Fédérale de Lausanne in Switzerland, which she visited through the Intel ISEF/CERN Award in 2012. “I was enamored by the idea, and investigated quantum dot geometries and how they would affect solar cells,” Ding said. Since then, she has consulted with researchers in the field and beyond. Her mentors and guides for the MJQDSCs project were the science research teacher at her school, Dr. Veronica Ledoux, and Dr. Bjoern Seipel, a materials research scientist at SolarWorld USA, who Ding said offered invaluable insights on cutting-edge solar cell technology. for a number of organizations, from the National Gallery for America’s Young Inventors to her former middle school, where she coaches Science Bowl teams, supervises science research and accompanies the school choir. “A personal mission of mine is to pass on my enthusiasm about science and math to younger students through community involvement,” she wrote on her personal website. 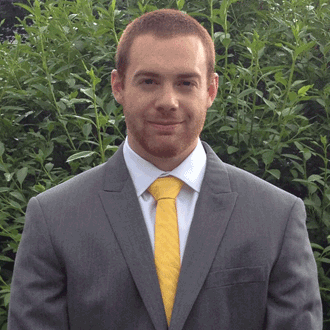 PLASMONICS POWER: Scott Cushing, West Virginia University in Morgantown, W.Va.
Scott Cushing, a 25-year-old Ph.D. candidate in physics, has focused his research on plasmonics, ultrafast optics and nanomaterials for solar energy conversion and optical biosensing. One of his current projects is finding a way to use plasmonics for alternative fuel: to help harvest hydrogen gas from water and the sun. Cushing, who expects to complete his doctorate by next summer, has been awarded SPIE’s 2014 DJ Lovell Scholarship for his potential contributions to the field of optics, photonics or a related field. He plans to use the award to travel to SPIE meetings and to further his research in plasmonics, a field that has always fascinated him. “Before college, I spent my spare time tuning the resonances in car and scooter engines to get out extra power. When I started college, I learned during a freshman Summer Research Experience about plasmonics, and how by making materials on the nanoscale, we could actually manipulate and control resonances with light. I was instantly hooked and began looking into how plasmonics could overcome some current problems in the fields proposed to me by my adviser, Dr. Nianqiang Wu. Although plasmonics will always be at the heart of his research, he said he hopes to explore other materials that allow strong manipulation of light, especially for photovoltaics and water splitting. “I also work heavily with ultrafast optics,” he said, “and in the future I hope to apply few-femtosecond pulses, multi-dimensional spectroscopy and similar techniques to observe plasmonic interactions at the same timescale as the lifetime of the plasmon. Drobnych got his first Lego blocks when he was 3. Eleven years later, at 14, he has already won the Ukrainian Lego Festival Robotica – twice. He also has used Legos to build a remote-controlled microscope for presentations, a project that has earned him a finalist position in the 13-14 age group in the Google Science Fair (GSF). In biology class, he noticed that his teacher had to run between tables, and he started to think that individual microscopes might not be ideal for teaching. Students examine their own slides and might not always draw the right conclusions, he wrote in his GSF project. “Much better to organize the learning process so that all students observe the same object, with the teacher explaining new material,” pointing out areas of interest, he wrote. “But the saddest thing is that in many schools, there are no microscopes, and students only get acquainted with the microcosm in textbooks,” he added. So Drobnych built his school presentation microscope using Lego Mindstorm, Lego Technic and Lego EV3 constructor sets. The EV3 microcomputer controls the motors that move the mechanical parts of the microscope; it can be operated remotely via Bluetooth on an Android device. 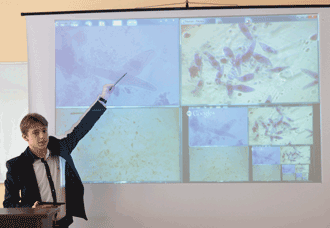 A webcam transmits images from the microscope to a computer and projector, or even to Google Hangouts. “My solution has an interesting set of properties, providing comparative observation and study of living organisms in their natural habitat,” he wrote in his project. Drobnych may enjoy getting lost in his technological developments – in addition to his microscope, he is currently working on a robotic system that would enable smart positioning of solar batteries to increase energy collection – but he also takes time out to play the saxophone and hike in the Carpathian mountains near his home. Solar energy has long been an interest of hers. “When I was in elementary school and they were telling us about global warming, I started to think about what I could do about that,” Shutthanandan told the Tri-City Herald in May 2013. For her project, she set out to improve dye-sensitized nanoparticle solar cells (DSNSCs) by replacing the typical titanium dioxide with zinc oxide. She grew ZnO nanostructures in different shapes – wires, rods, flowers and sheets – and studied their growth behaviors. She then checked their surface composition using x-ray photoelectron spectroscopy, their bulk composition and porosity using Rutherford backscattering, and their morphology and structure using helium-ion microscopy. When she had achieved the optimum deposition condition, she deposited the nanostructures on a conductive tin oxide glass slide for testing. Of the four different DSNSCs she fabricated, the ones made from nanowires showed the greatest efficiency; the cell synthesized from the nanoflowers was the least efficient. 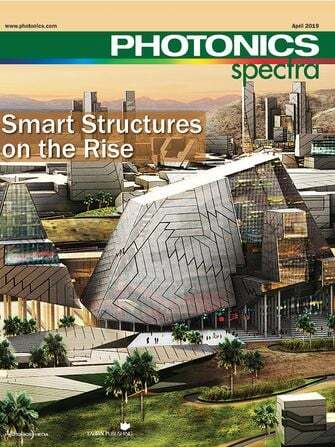 “They’re not as efficient [as silicon solar cells], but we’re working on it,” Shutthanandan told the Tri-City Herald. And that was last year’s work. This year, Shutthanandan has medaled on the national and international level with a new project: a next-generation supercapacitor for ultrafast energy harvesting. Shutthanandan has made a new composite electrode from nitrogen-doped graphite and porous carbon materials, and used the new electrode to construct supercapacitors. She has shown that the nitrogen-doped electrodes show a 60 percent increase in energy and can store it at 150 percent faster charge and discharge rates than undoped electrodes. She also has shown that these values are significantly higher (more than 200 percent) than the commercially available supercapacitors in the same voltage rating. 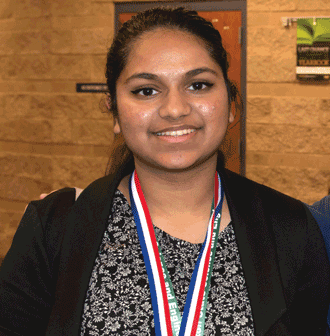 The project earned her the gold medal this summer at GENIUS International Olympiad in Oswego, N.Y., as well as a third-place grand award and NASA’s second-place special award at the Intel International Science and Engineering Fair in Los Angeles.